I’ve had some people asking how I got so many quality reviews on Amazon and Goodreads for my first self-published novel, Monsters All the Way Down. It took a long time, so I’m not sure my approach was the most effective. But I’m happy to share, and I’d love to hear your own advice and comments. If you’ve ever written anything, you know how flattering it is when people tell you they enjoyed it. Whether it’s in person, on Facebook, or on Twitter, it makes my day every time. I try to follow up my heartfelt thank-you by asking them to review the book on Amazon and Goodreads. Don’t be a jerk about it; no one wants to be annoyed into reading your book, and that goes double for posting a review. Even if they loved your book, there are countless reasons they might not feel comfortable reviewing it. In the event they take time out of their lives to review your work, it’s time for another of those heartfelt thank-yous. I also had a few folks contact me directly about reviewing the book. If an active reviewer is already excited about reviewing you, go for it. Since I was new to the game, I didn’t have anyone doing this to scam a free copy, but I guess it’s always possible. Book blogging is a tough gig, especially if you’re willing to accept indie reviews. I’d imagine they can quickly become overwhelmed with requests from writers who aren’t ready to publish. I’m not surprised many close their gates or start charging for reviews. I decided to go with bloggers who didn’t charge. I spent several days at my desk looking at lists of reviewers who accept indie books. Here are two example lists, and you’ll find more reviewers if you google a bit. Most of the people on the lists have their own blog, but some only do reviews. I made a spreadsheet and went through the lists, recording all the ones currently open to submissions in the right genre. My spreadsheet listed the blog site (if applicable), the name of the reviewer, the contact information, and the submission requirements. I also had columns for whether I had sent them a request yet, if they had accepted my request, if I had sent them a copy, and if a review had been posted. I finished compiling my spreadsheet before I sent out submissions. I would recommend just sending them as you go, because many of the reviewers were closed to submissions by the time I got back to them. Submitting review requests felt like querying agents or publishers. Every blogger had a slightly different process. Some had weird things like mentioning the word “boomerang” in the email so they knew you read their requirements. 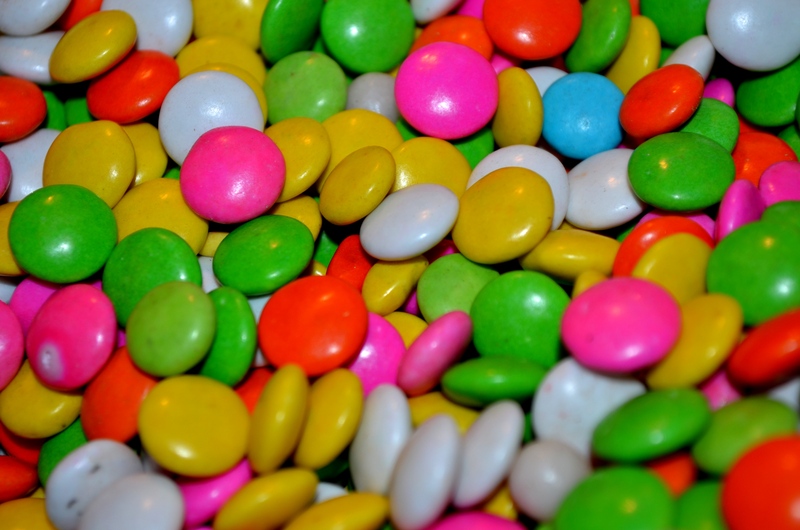 It was a lot like that story about Van Halen having a contract that said they got a bowl of M&Ms with all the brown M&Ms removed. That way they knew people actually read the contract. So I had a form email which I plugged reviewers’ names into, but I would also have to change it up based on their requirements. Like I said, they probably get an avalanche of requests, so be understanding that they need a way to separate the wheat from the chaff. Some reviewers ask upfront if you’re willing to do an interview or giveaway. I always said I would be up for either one, as long as it was an eBook giveaway. I love doing interviews, since it’s a chance to talk about all the things I’ve been thinking about while writing the book. The occasional interview saves me from talking the ears right off of my loved ones. Keep in mind, some reviewers only accept physical copies of a book. That’s fine, but the cost can add up for a self-publisher, and not every physical copy you send turns into a review. Just prioritize physical review copies, and pay attention to where reviewers are located. Sometimes it’s easier to send copies through Amazon, especially if they’re international. I repeated the spreadsheet process with the top Amazon reviewers. These are folks probably get even more requests than the bloggers. Not just about books, either. From reading their profiles, they get asked to review way too many weight loss supplements. After I went through the top reviewers, I contacted a few folks who posted positive reviews in books similar to mine. Here’s a link to Amazon’s top reviewers. Only contact the ones who say they review self-published books in your genre. I don’t remember how far down the list I went, but I had a decent return. I’ve heard good things about Net Galley, a service for sharing advance reader copies. It’s not cheap, but apparently returns on the investment. There are plenty of book bloggers who offer paid services, including reviews and blog tours. Let me say up-front, I have nothing against these folks. As long as the reviews are honest and the reviewers make it clear they were compensated, more power to them. Just remember, it’s against Amazon’s TOS to pay for reviews. I won’t lie to you. I was glued to my desk for a couple of weeks to send out over 450 requests. About 5% of those turned into reviews. This probably had as much to do with Monsters All the Way Down being my first published novel as it had to do with there being fewer reviewers willing to read horror. Your mileage definitely may vary. It was tough work, but remember we’re on the same playing field as publishers who send out thousands of review copies to professional reviewers. You’re going to need to invest some serious elbow grease to get noticed. Be sure to follow up with a thank you to anyone who posts a review, and retweet/share/plus the positive ones. Helping publicize each other is a big deal, especially for folks working with indie authors. Hopefully this is helpful for some of you out there. And for you reviewers: thanks for all your hard work. Indie authors are lucky to have you. My last job left me feeling burned out, so when the time came to decide what to do about our first-born, I volunteered to stay home. I reasoned that I would finally have the time and the mental energy to write. This actually worked for the first few months I stayed at home. I wrote a good chunk of the first draft of Monsters All the Way Down during that time, and I thought I would be able to write and edit one book every year before my children started school. Even with the many long nights and the stress of being a new parent, it was one of the most pleasant autumns of my entire life. I later found out most people thought I was either lying about staying home to write–“He just doesn’t like going to work”–or believed I was crazy to think I’d have any extra time. As soon as my son stopped sleeping most of the day, the time I had to write–and clean, and breathe, and think–disappeared. I’ve met writers who could write with their children running and screaming in the same room with them. Unfortunately, I am not one of those parents. 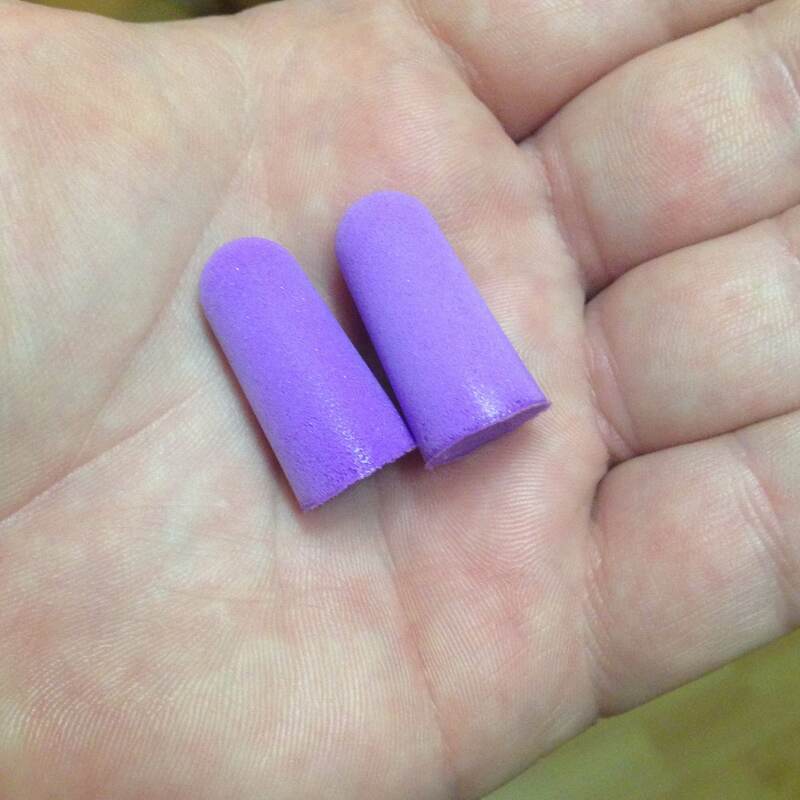 Free parenting advice: ear plugs take the edge off and add years to your life. You’ll still be able to hear your little angels screaming bloody murder. I finished the first draft of Monsters and revised it over the course of a hundred inefficient late nights. Some nights, after my family went to bed, I would sit down at my desk and cry, because I knew I was too exhausted to write anything. After giving up on burning the candle on both ends, I tried working during the evenings after my wife got home from work. That wasn’t fair to her, and even though she didn’t say anything, I could tell how frustrating it got for her after even one night of coming home from work and then being totally in charge of the kids all evening while I sat in my office. So I went back to writing at night. Of course, taking care of the kids all day and sitting at my desk all night was unsustainable. It took me too long to realize I’m not a very good dad when I’m exhausted. I’m grumpy, stressed, and not fun to be around. This also wasn’t fair to anyone, especially to my kids. My writing came to a standstill as I got my parenting back on track. But this presented a problem, too. Like many people that love to create, I feel lost and–let’s face it–depressed when I’m not making anything. I still needed a routine that let me care for my kids but also gave me creative time to look forward to. My solution is Sunday is my Writing Day, and I can’t express how much it has helped me. On Sundays, I get a full work day’s worth of writing. It only works because my amazing wife is supportive, and I’d like to think it’s a good way to make the most out of a difficult situation. If you’re a single parent trying to write, you are my superhero. I can only hope you have a support system of family and friends to help you by watching kids for if you want to try a weekly Writing Day. Remember that your writing priorities are not shared by others. Be understanding, but be selfish with your Writing Day. In return, give your time to your family freely the rest of the week. Take care of business, but remember there will always be something you could be doing other than writing. Things will keep. Sometimes things come up that are more important than your writing day. Be mature about it and remember there will be other days to write. When you are having a tough time, remember that you have a Writing Day coming up. This has totally changed my outlook on bad days. Headphones or ear plugs help drown out the sound of noisy children during your Writing Day. If something comes up that makes you miss your usual day, do everything you can to reschedule it to a different day that week. Even if you aren’t an outliner by nature–I’m not–you can make use of smaller outlines to better utilize your writing time. If I have a complicated section or scene coming up, I outline in my spare moments throughout the week so I can make the most out of Sunday. During the week, find writing-related activities you can do with your children around, like reading good books, working on a blog, or building up your Twitter followers. Utilize a mobile supplemental file to keep track of those beautiful ideas you have outside your Writing Day. Set realistic goals. My last project was somewhat complex, so my goal was 3,000-5,000 words a session. I didn’t always meet it, but I always tried! A to-do list is important for those days you need to accomplish more than writing as much as possible. Any good advice that applies to a daily writing routine applies: eliminate distractions, have a clean work area, be productive, don’t look back. Be the best parent you can be. It might be hard to believe, but your kids are more important than any book. Setting aside one day a week to write is difficult, and don’t develop any delusions about this being the perfect solution for busy parents. But it has already helped me work toward publishing one book, finish the first draft of another, and finish several short stories. Hopefully it will work until I go back to work or my kids start school. Watching a book grow by only 3,000 to 5,000 words a week is difficult, but it beats your novel not growing at all. Don’t give up! I usually tweet about my Sundays with the hashtag #SundayIsMyWritingDay. What are your methods for finding time to write? Please share below. I’ve shared this with other writers before, and I’ve been told it was helpful. For some it might seem obvious, and I’m sure some variant is standard operating procedure for many. Still, this technique is a primary reason I’m able to finish my awful first drafts. I use it for both short stories and novels, and I’m sure you’re clever enough to find more applications. Years ago, I was newly married and attending graduate school–perfect time to start a novel, right? I obsessively outlined the entire book. I wrote and rewrote the first chapter a dozen times. When I finally made progress, I went back and rewrote that first chapter again and again. I’m still married, and eventually I graduated. But I never finished the first draft of that novel. Back at the time, I was obsessed with the story of Orpheus. 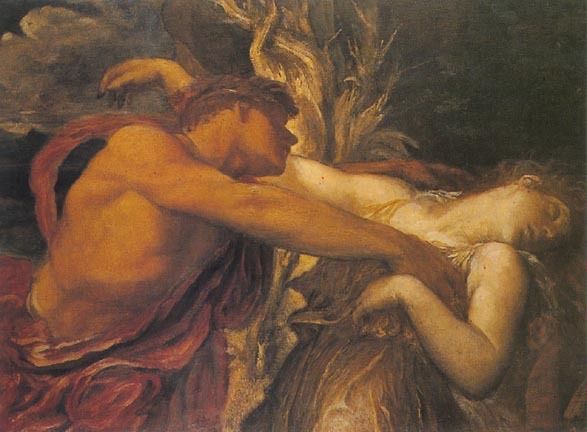 For the unfamiliar, Orpheus descended into the underworld to rescue his lost love, Eurydice. He’s told she will follow him back to the surface as long as he doesn’t look back. Just before he reaches the surface, he doubts and turns around, only to see Eurydice disappear back into the abyss. These themes even worked their way into my unfinished book–but I never made the crucial connection. Just like Orpheus, I was doomed because I kept looking back. If only he had finished his first draft! To avoid this terrible end, I stopped looking back. That’s very poetic, Ryan, you’re thinking. It brings a tear to my eye. But it doesn’t tell me anything. Everyone knows you have to press on through your first draft, but how did you do it? The supplemental file is for all the things I want to go back and change, my ideas for scenes I haven’t written yet, and anything else I need to remember but I’m not writing into the novel that instant. You can also delete a section from the story but stick it in the supplemental file if you want to hold onto it. Brilliant idea while standing in line? Put it in the file. Finishing chapter 10 but realize the perfect way to reorder the first three chapters? Put it in the file. I type it in right away, before I have a chance to forget. Middle of the night, middle of a meal, doesn’t matter. I know better than to believe I’ll remember, and a grand idea once forgotten is an immeasurable loss. How does the supplemental file change the game? It keeps me from meddling until the first draft is done. I finish the first pass and then work through the supplemental file, making those changes one at a time. I’ve just started revisions on another novel, and today was a perfect examples of the supplemental file’s power at work. I realized, fifty pages into the first draft, one male character should be female. In the old days, I would have gone back and changed what had come before to make the draft cohesive. But that way lies only madness. Instead I made a note in my file: “Change childhood friend to a girl.” I named her and kept on writing as if she had been in the book all along. Today I returned to the completed draft and changed the character in those earlier sections with ease, without losing any of my sweet, sweet momentum. What could have cost valuable writing time instead made these early revisions a treat. During revisions, I prioritize the changes I still want to make–I usually do the largest changes first. I highlight entries in the file once I’ve implemented them and use strikethroughs to show ideas I’ve discarded. This way I remember what’s taken care of and hold onto discards in case I change my mind a second time. This process might go against the general advice to trim at least 10% off your first draft. If it helps, consider additions made with the supplemental file to be part of Draft 1.5. After making your supplemental changes, then you can start cutting and tightening everything up. You plow through the first draft without losing momentum. You don’t forget those beautiful ideas. You don’t waste time going back to cram in terrible ideas. It’s also good practice to keep a separate character file and, if necessary, a world building file. And don’t forget to back up your supplemental files often; they’re nearly as important as your first draft, and you should back up your first draft after every writing session. I hope this post has been helpful and encouraging. Do you have any advice for cranking out a first draft? If so, please share in the comments below. Remember, don’t be like Orpheus. Don’t look back. Keep looking forward to your success.